Our Edinburgh centre houses modern classrooms, a library and a fully-equipped computer room with full wireless internet access throughout. 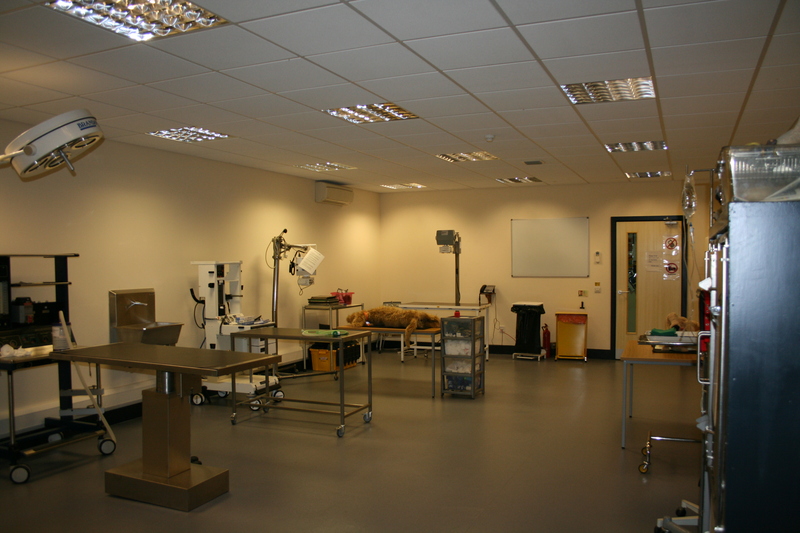 A superb dedicated clinical skills suite also enables students to practice their clinical skills whilst at College. The Gyle has a prime central location on the west side of Edinburgh with excellent transport links being near to the city bypass and minutes from both the M8 and M9 motorways. A bus service (timetable / tickets) runs on a regular basis from Edinburgh city centre; and both Edinburgh Park and South Gyle train stations (Scot Rail railcard) are within easy walking distance. The Edinburgh centre runs a variety of courses including a BSc (Hons) Degree in Veterinary Nursing programme (including a Top-UP Degree programme for qualified veterinary nurses), a full-time Level 3 Diploma in Veterinary Nursing programme and regular veterinary nursing Continuing Professional Development (CPD) and animal care short courses. The College has no parking facilities on campus and is encouraging students and visitors to reduce their impact on the environment by car sharing, cycling to the College or utilising public transport where possible. Although limited on-street parking is available there is a bus route directly outside the campus and both Edinburgh Park and South Gyle train station are within easy walking distance. If you require a disabled parking space please let us know at least 24 hours in advance; we will discuss your requirements and ensure a suitable space is reserved for you. The College will not be held responsible for any damages caused to your vehicle whilst on the College property.